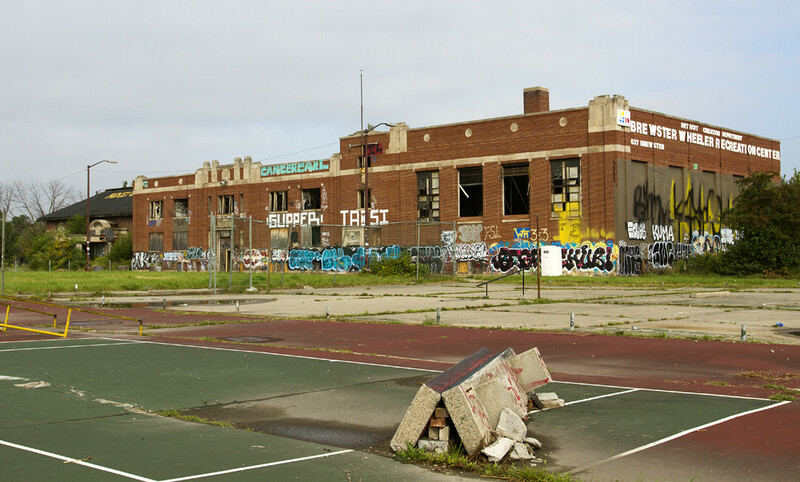 The wrecking ball will spare the storied, long-abandoned Brewster-Wheeler Recreation Center in Detroit, where Joe Louis learned to box in the shadow of the nation’s first public housing project for African Americans. A yet-to-be-identified developer is expected to announce today a $50 million plan to transform the squatty, Art Deco building into a restaurant that will be staffed by girls and young women who are homeless, abused or neglected. The building also will be used by a student chess club, according to sources familiar with the deal. The redevelopment is a major victory for supporters of the center, which was partly named after the city’ first black recreation worker, Leon Wheeler, in 1929. 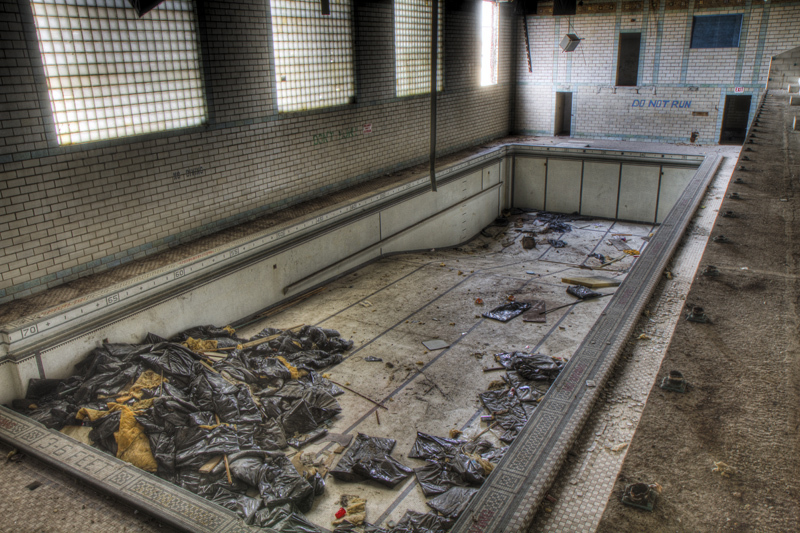 At the time, African Americans were prohibited from entering the spacious, first-rate YMCA in downtown Detroit. For 25 cents a month, Louis and other teens could escape the hardscrabble streets just north of downtown to play checkers, meet new people or learn to box. First Lady Eleanor Roosevelt, who was an outspoken advocate of racial equality, hailed the housing projects as a grand achievement for human rights. At any given time, between 8,000 and 10,000 residents lived at the Brewster projects. But a drawn-out exodus left the housing units vacant by 2008. They were demolished last year, and the city is looking for developers to build something new. The property is on prime real estate, overlooking downtown and I-75. Mayor Duggan announced last year that he would approve the demolition of the center if a developer didn’t come forward with a realistic plan. A news conference is scheduled for 12:30 p.m. Tuesday and will include Joe Louis Jr., who is the boxing legend’s son, City Councilwoman Mary Sheffield and representatives of the developer. This is a good story. 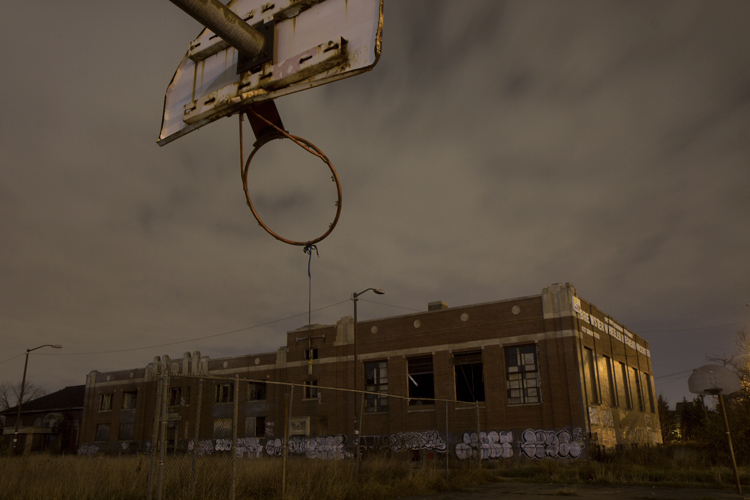 Embedded within is an earlier version of A Tale of Two Detroits.